Dispersing power and stepping away from accepted norms pulls people out of their comfort zones, says Rashada Whitehead. In my role as a reputation and culture transformation leader, I’m always looking at data that examines what companies say versus what they do. More importantly, I like to know the why – because that’s when we can start driving outcomes and creating solutions that work. "For the last four years, companies have reported they are highly committed to gender diversity. But that commitment has not translated into meaningful progress." "Women continue to be vastly underrepresented at every level. For women of color, it’s even worse. Only about one in five senior leaders is a woman, and one in twenty-five is a woman of color." I kind of knew this, but I still had to read it two or three times for it to sink in. I don’t need to dig deep to find stats about women making up more than half the U.S. population, women (of color, in particular) representing the fastest growing and most successful rates of entrepreneurship, or news about the significant role women are playing in business. So not only were the findings interesting, but presented a lever for me to pull and hone in on the "why" behind it all. When I look across PR and communications, I can’t help but think how this field is so female dominant. As a matter of fact, my graduate PR class this semester is all women, with the exception of one male student – which is reflective of most of my classes. One size does not fit all. If you find yourself saying, "We have a woman on our leadership team," it’s time to stop and think about what that really means. All women are not the same. We don’t have a universal favorite color, operate with the same motivations, or have the same goals. That’s the prime reason having just one woman at any level is not enough. If "one woman" becomes the benchmark it demonstrates a lack of diversity on all levels. Don’t discredit nurture. I can’t tell you how many myths I’ve come across regarding women at work. From tough feedback makes us cry to leading with the warm and fuzzy doesn’t drive business results, these ideas are simply not true. However, it is true is that women tend to be more nurturing. And why is that a bad thing? Aren’t employees and teammates interested in being seen and heard? It’s also true that women bring a rounded approach to management, are equally as strategic as men, address challenges from multiple vantage points, and represent a path for other women and men to model. Rethink the notion that for me to win you have to lose. I find it absurd that a case still needs to be made for the roles women can play and the value they bring. And I believe this need can be traced to the perception — held by the people making these decisions — that they have something lose. It’s the same when it comes to other discussions around diversity. Being conscious of actions and behaviors, dispersing power to those not traditionally represented, and stepping away from accepted norms are things that company boards are often not ready to address. It pulls them out of their comfort zones. I personally know of organizations that prolonged executive searches to ensure they considered a diverse pool of candidates, including those that are harder to find. Maybe I’m biased, but isn’t that the way it should be? When a consumer brands company gets research to illuminate what will help drive their sales, in most scenarios they take advantage of it and make investments in that area. Amd we now know that companies with women in leadership positions outperform those without. So if I was putting my shareholder chips on the table, I would place them on the organizations that embrace female leadership, not just for the financial results, but for the total impact it will have on their culture, their clients, and their customers. 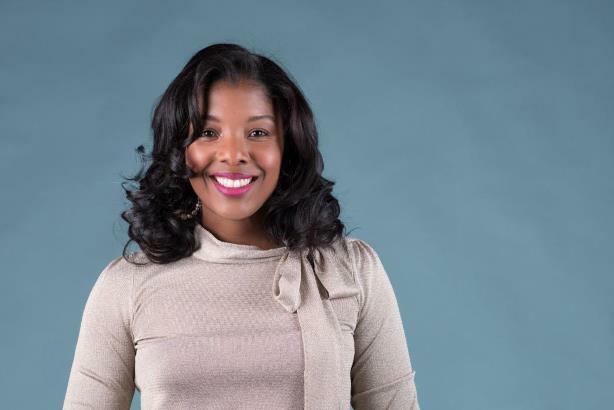 Rashada Whitehead is a reputation, culture and business transformation leader who helps brands consciously navigate big changes.